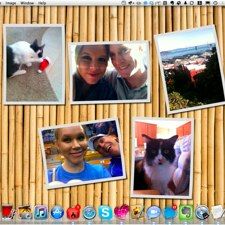 Wallcast is a PC and Mac application that transforms your wallpaper into a dynamic collage of photos from you, your family and your friends. Interesting idea, but I'm not sure we need another way to watch each other photos, really. Plus, my wallpaper is usually covered by, you know, windows.